Life has been busy at Dallas Lamp and Light!! 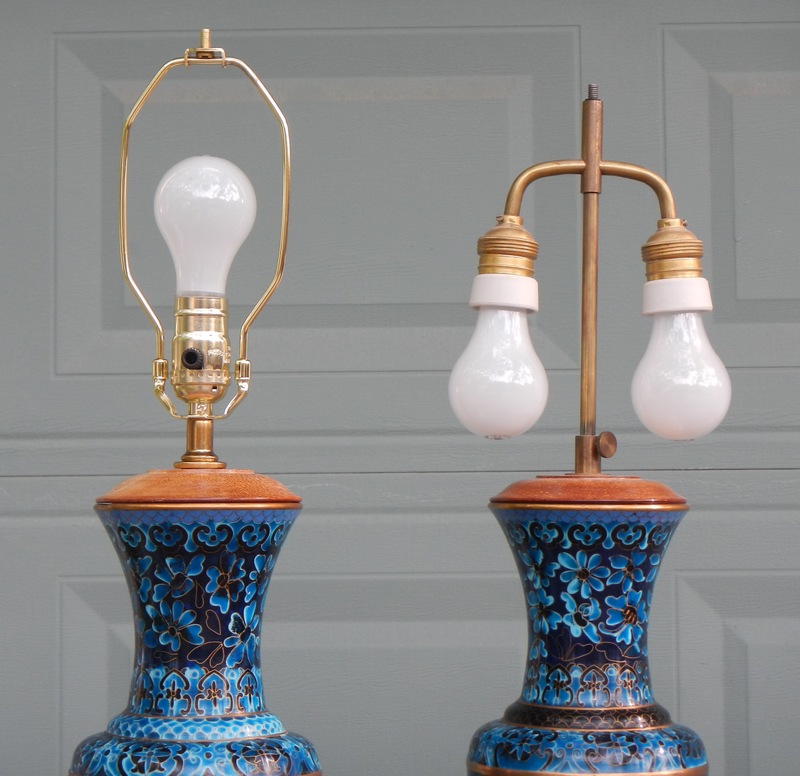 As with most lamps, much of our business is associated with electrical rewiring, however we still work on long-term projects of our own as well as customer projects that require a bit more work to bring them back to life. I have included a sample of a few of our latest projects. I tried to show before and after where I could. 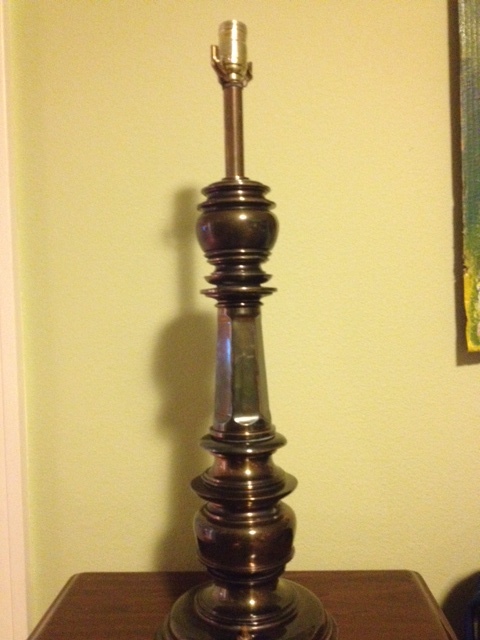 I had a client call about a light fixture that was in her house as a kid. While cleaning out here parents house they found it disassembled in a box. She couldn’t remember what it looked like but this is what she brought, minus a couple of parts. 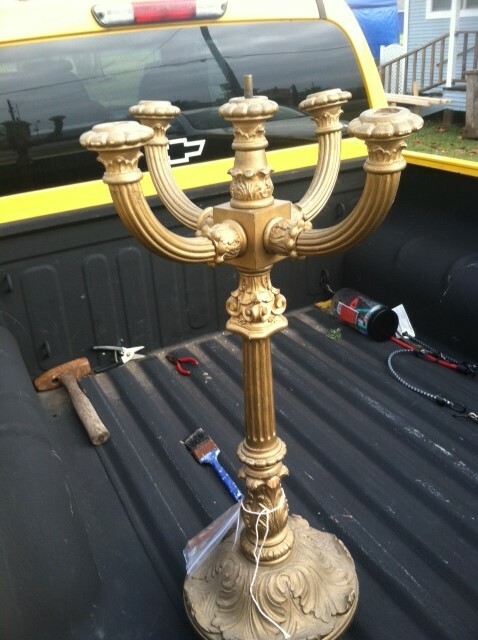 The chandelier was produced in the late 1940’s-50’s by the Holophane company. Known for their refractive light shades they produced a lot of light. Even though this particular model is no longer produced, the Holophane brand (now owned by Acuity) has been producing industrial lighting since 1906. This is a wood chandelier, that was electrified, but all the guts were gone. It was missing a few parts so we had to come to a creative solution. All new electrics, for 40W bulbs, new candle covers and a unique center piece that just happened to match. 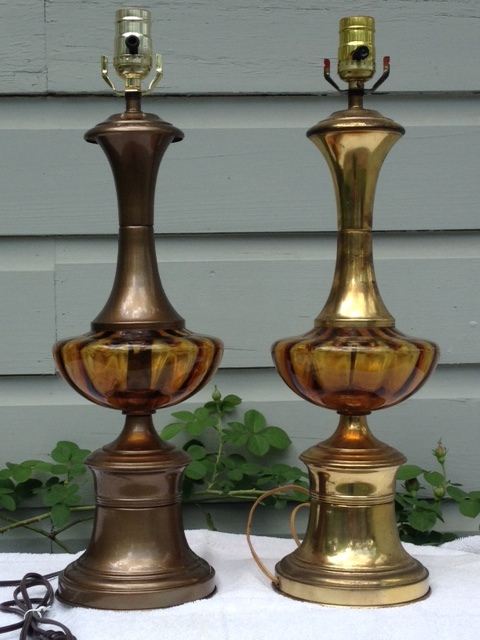 These were originally two very nice brass Stiffle lamps. The finish was a bit worn. The customer was looking for an all new look. We stripped and sprayed them in gloss white enamel. 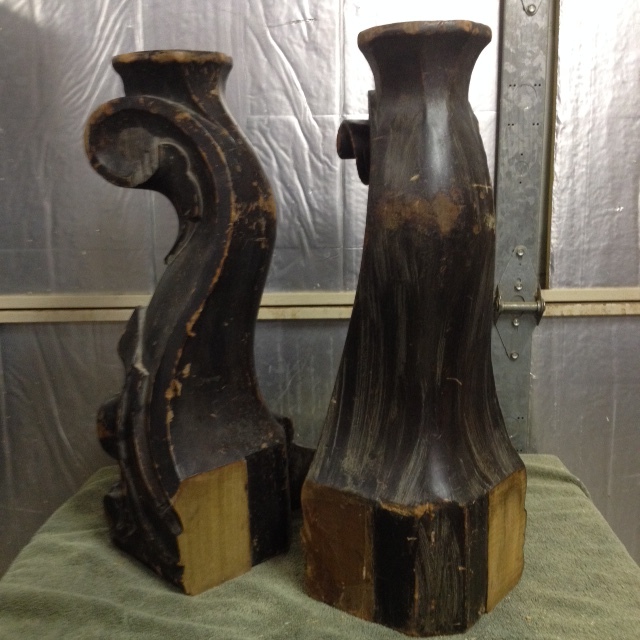 This was an interesting and challenging restoration. 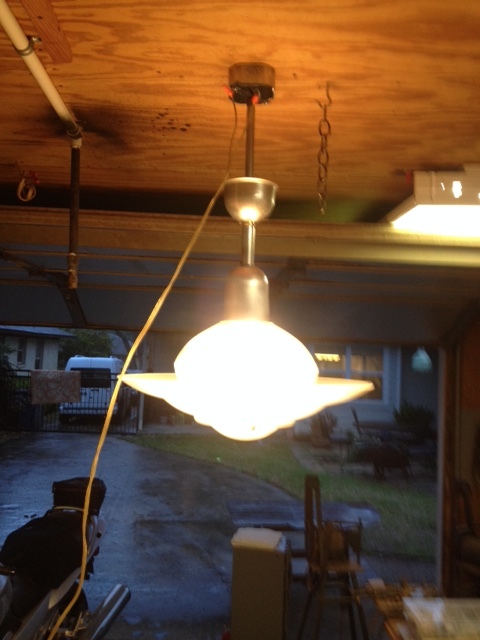 This is a hanging swag lamp made up of 6 sections, two of the sections were broken and had to be repaired. 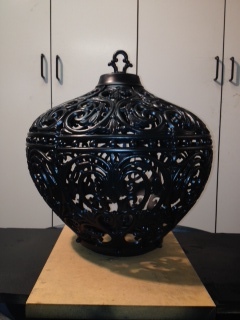 The project was media blasted, repaired, rewired and coated with a matt black painted finish. The lamp is used outdoors and shows-off some interesting shadow patterns at night. 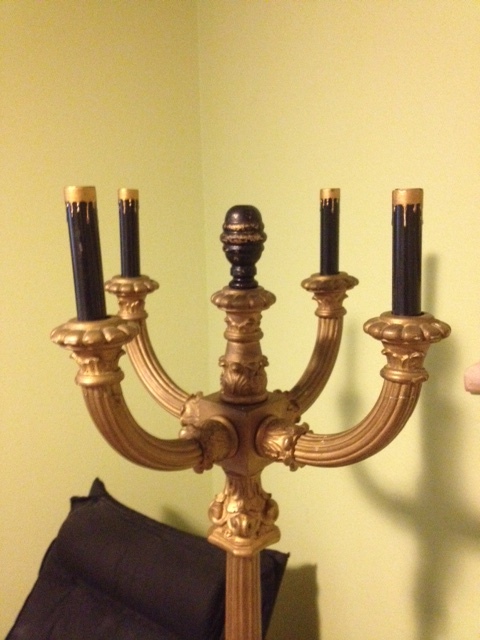 All original brass was stripped and recoated with a textured powder coating of antique brass. All electrical was replaced as well. 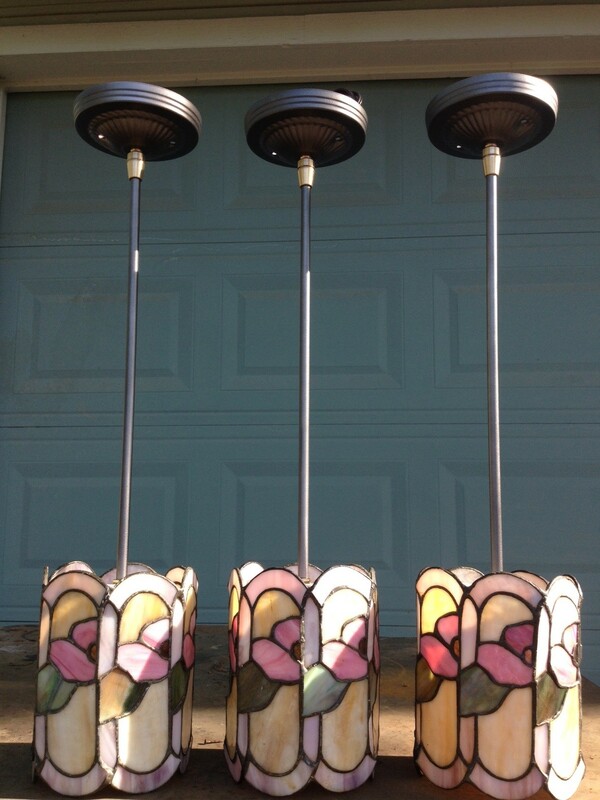 These three fixtures started life as hanging swag lamps. 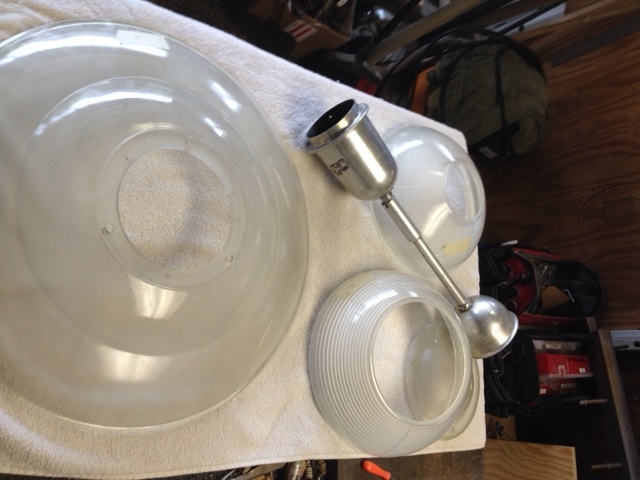 The customer wanted them to be pendant fixtures to hang over a counter/bar area. We replaced the chains with pipes, added new canopies and swivels so they would hang correctly, as well as all new electrical and porcelain sockets for high wattage bulbs. 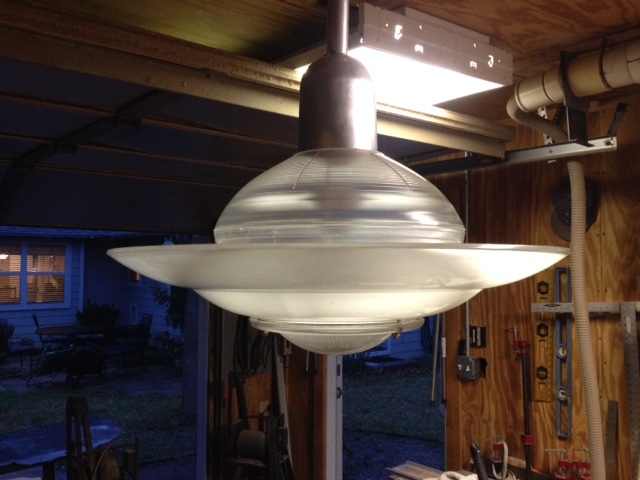 This was a conversion from a two bulb lamp to a single. All new hardware and electrical was included. As you can see from the original picture on the right. 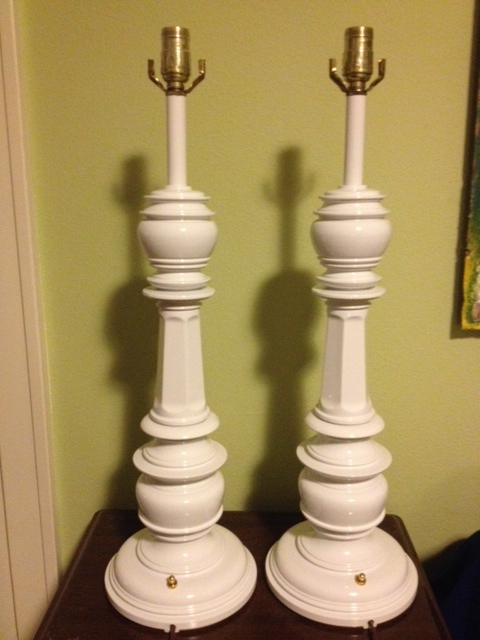 This was a pair of 60’s brass lamps. 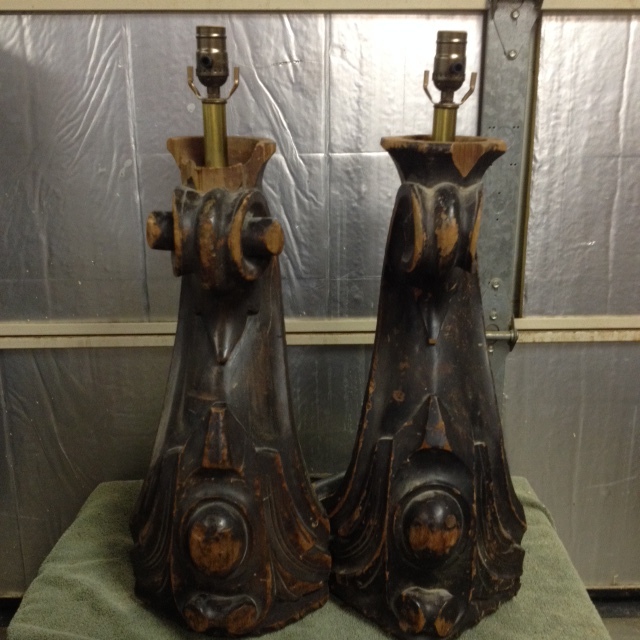 The brass finish was worn, so we media blasted the old finish and recoated it with an antique brass painted finish. All electrical was updated as well. The matching pair is available for purchase. This entry was posted in Lamp Restoration Projects and tagged broken lamp, lamp repair, lamp restoration, refurbish lamp, rewire lamp. Bookmark the permalink.